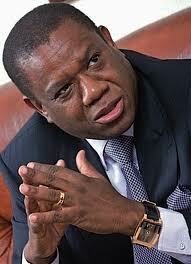 Angola: A changing of the guards? Farewell? The quiet godfather of Angolan politics has signalled his intention to step down from the presidency after more than three decades. However, analysts believe he will continue to be the power behind the throne. 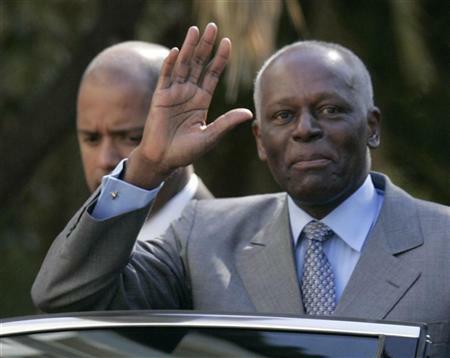 Southern Africa’s longest-ruling leader Jose Eduardo Dos Santos of Angola is a man whose 32 years in office belies the security of his hold on the oil rich country. Ushered to the fore of national life when the country’s founding President Agostinho Neto died of cancer in office in 1979, Dos Santos is moving to ensure that his departure from power is as gradual and planned as his assumption of it was fortuitous and sudden. In the opaque internal workings of the ruling Popular Movement for the Liberation of Angola (MPLA), which is one of the region’s most hardened liberation movements-turned-governments, it has not often been easy to decipher the party’s plans on the hitherto taboo question of succession. 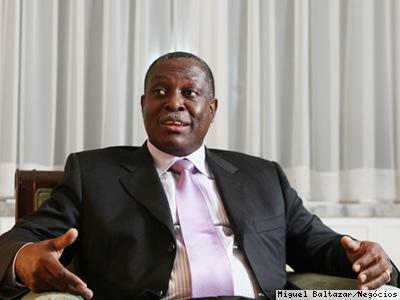 However, in early September the Angolan Novo Jornal newspaper set the country abuzz when it reported that the 69 year-old son of immigrants from Sao Tome and Principe was to stand down as president before or after next year’s elections. 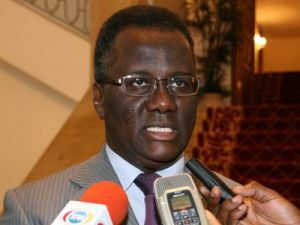 Quoting unnamed MPLA sources, the weekly claimed that Dos Santos had picked Manuel Vicente, head of the state oil company Sonangol, as his successor. Party spokesman Rui Falcao de Andrade also told business news publisher Bloomberg that the MPLA will meet in December to appoint its presidential candidate for next year’s election and was currently ‘talking about probabilities’ although no formal decision by the party had been taken. According to the country’s 2010 constitution, only MPs are now directly elected by the people, and the person who is named at the top of the party list of the winning party automatically becomes president. The news coincided with planned anti-Dos Santos protests in Luanda, leading to speculation that the MPLA may have sought to pacify increasingly restless opponents by promising impending change at the top. Riding on the coat-tails of the Arab Spring, which toppled longstanding dictatorships in North Africa, Angolan activists have several times this year held protests calling on Dos Santos to step down. On 25 September, a day after MPLA supporters had demonstrated in support of Dos Santos in Luanda, police crushed an anti-government protest by youths. The man at the steering wheel of Sonangol and the President share a striking similarity: both are trained engineers with a background in the oil industry. Vicente is a career technocrat who understands the country’s oil industry like the back of his hand. He has been at the helm of Sonangol since 1999 and has spent two decades with the company whilst simultaneously juggling other corporate roles and consultancies. At face value, he has no basis to feature as the leading figure in a cast of MPLA contenders for the leadership of Southern Africa’s most militarised state. Among other things, this shadow government is responsible for the formulation of international policy independently of the established government and foreign ministry, Roque added, and ‘to a certain extent, Sonangol is the vehicle used to control the international image of Angola, investing internationally in the strategic areas of telecommunications, gas and petroleum as well as the banking sector,’ she said. Sonangol, and, to a lesser extent, Endiama (the national diamond company), play a central role in the management of the state and in the MPLA’s financial strategy. This background makes Vicente a strong candidate to fulfil for Dos Santos the role that Dmitry Medvedev played in Russia for the outgoing President Vladimir Putin in 2008. ‘The president will likely look to implement an organised hand-off to Vicente or another trusted ally while remaining, like Vladimir Putin in Russia, the power behind the throne for an interim period,’ Philippe de Pontet, Eurasia’s Africa director, wrote in a recently published research note. Analysts say Dos Santos could lead the party to another victory in the 2012 elections and retire from the presidency thereafter whilst remaining MPLA leader, leaving Vicente to run the country without the threat of imminent elections. He could also appoint Vicente as his vice-president in preparation for him to take over the reins at whatever point he wishes to step down. This prospect gained currency in view of Vicente’s own announcement earlier this year that he will be leaving Sonangol before year-end. However, this would mean superseding the powerful securocrat and current Vice President Fernando da Piedade Dias dos Santos who also served as the country’s prime minister from 2002 to 2008. The 61 year-old ‘Nando’, as he is known, is said to control a paramilitary group of 10,000 rapid response units (‘Ninjas’), the police, and is not known to be overly compromised by corruption. Long seen as the President’s right-hand man and a clear front-runner for the top job, his elevation to the vice-presidency was widely perceived as a preparatory step for the ultimate office. De Pontet said the old MPLA guard would likely be more comfortable with a seasoned party insider such as ‘Nando’ with his security background, although this would raise a bigger question mark for investors. ‘In the past, Dos Santos has stared down such sentiment, and can likely do so again, particularly if party cadres know that he will continue to be the prime power-broker behind the scenes. Defying Dos Santos tends to be a poor career move,’ he added. Sebastian Spio-Garbrah, an analyst at DaMina Advisors, a frontier market risk consultancy, expressed surprise at the choice of Vicente as the man to replace Dos Santos saying he will likely have to grapple with tense relations with the dozens of disappointed ministers and ex-military leaders who had always hoped that the President would have drawn his successor from among them. ‘Dos Santos, himself an oil engineer trained in Azerbaijan, was likely drawn to the similar personality and energy savvy of Vicente, as well as their close personal relations. Dos Santos had historically been very weary of allowing any single minister to gain too much popular influence, and regularly reshuffled his cabinet to keep his ministers on their toes,’ he said. However, most analysts agree that Vicente’s status as a respected figure in international business circles will likely be reassuring to investors especially if his presidency is backed by Dos Santos’ power exercised quietly from behind the scenes. In 2008 Angola held its first elections since the advent of peace following the killing of Jonas Savimbi, leader of the-then rebel movement UNITA in 2002. The MPLA romped to victory with 82 per cent of the vote, but presidential elections were put on hold as a cross-party commission drew up a new constitution, which was subsequently approved in January 2010. It abolished the position of prime minister, which was replaced by a vice president. 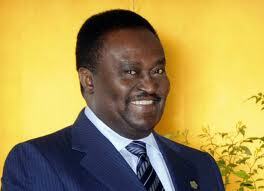 UNITA, which once held 70 parliamentary seats after the 1992 elections, only managed 16 in 2008. Having lost its statutory funding of up to $14m in the process, UNITA is certain to offer only feeble opposition to the Sonangol-powered MPLA juggernaut. According to a 2011 report assessing risks to stability in Angola, the Washington-based Centre for Strategic International Studies (CSIS) said poverty is the single most important issue which could lead to instability. ‘The mean schooling years for an Angolan adult are just 4.4 years, life expectancy is 48.1 years, and a staggering 22 per cent of newborn babies will not survive beyond their fifth birthday,’ the CSIS report noted. At 2.6 per cent per year, Angola has a rapidly growing population even by Sub-Saharan African standards, and more than two-thirds of it is 20 years of age or younger whilst 70 per cent of the country’s estimated 19 million are crammed in the barely capable urban areas. Coupled with yawning inequalities and rampant corruption, these demographic trends do not augur well for a stable and secure future unless the government moves to deliver basic sanitation, health care, education and jobs faster than it is currently managing. With restless youths becoming more daring in challenging the government, whoever succeeds Dos Santos has his work neatly cut out.